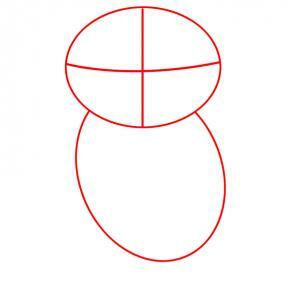 Draw a circle shape that is a bot on the oval side. 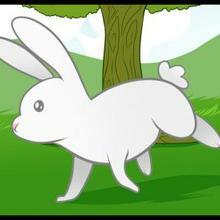 Next, draw out an egg shaped body, and then add in the facial guidelines. 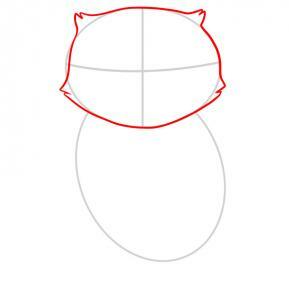 Begin sketching out the shape of the owl's head like you see here. Notice how the lining has slits and spikes. 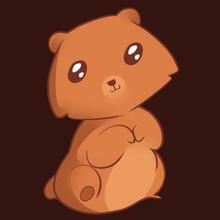 This is for the feathery texture of the animal. 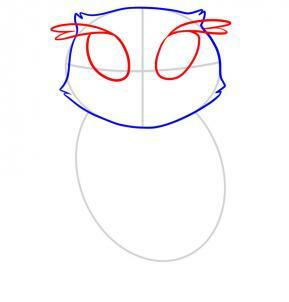 Now you will draw out some smaller egg shapes for the eyes, and then draw out a simple feathered eyebrow. 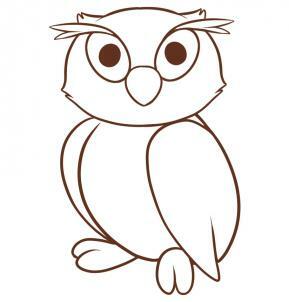 Color in the owl's pupils, and then draw out an almond shaped beak like you see here. 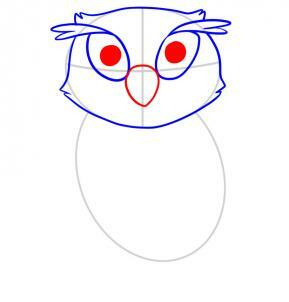 See how simple it is so far drawing an owl. 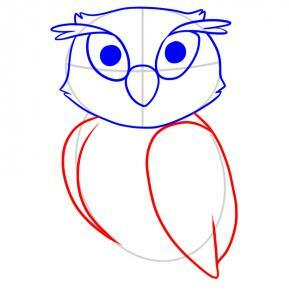 You can now start drawing out the owl's body starting with the shoulders and wings. Once that is done you can draw out the back lining and the chest. 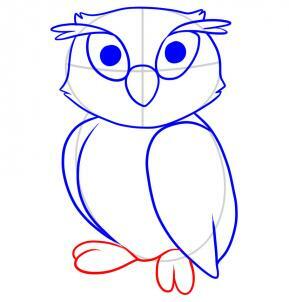 Now that the whole body is drawn in, you can now draw out the owl's feet. Next erase the lines and shapes that you drew in step one. 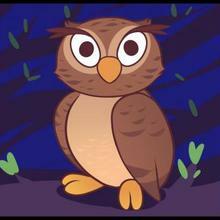 Here is the finished drawing of an owl for kids. Color in your wise bird and your done. Great work everyone!